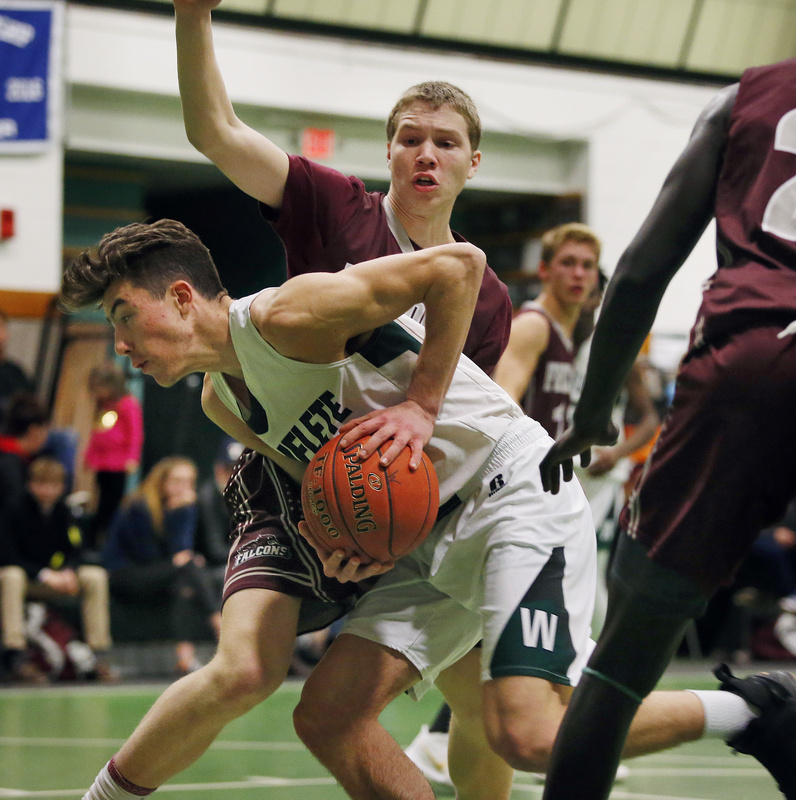 Dominick Campbell of Waynflete goes to the basket between Toby Holt, left, and Elias Thomas of Freeport in Tuesday night's game. Campbell scored 15 points in the Flyers' 71-43 win. 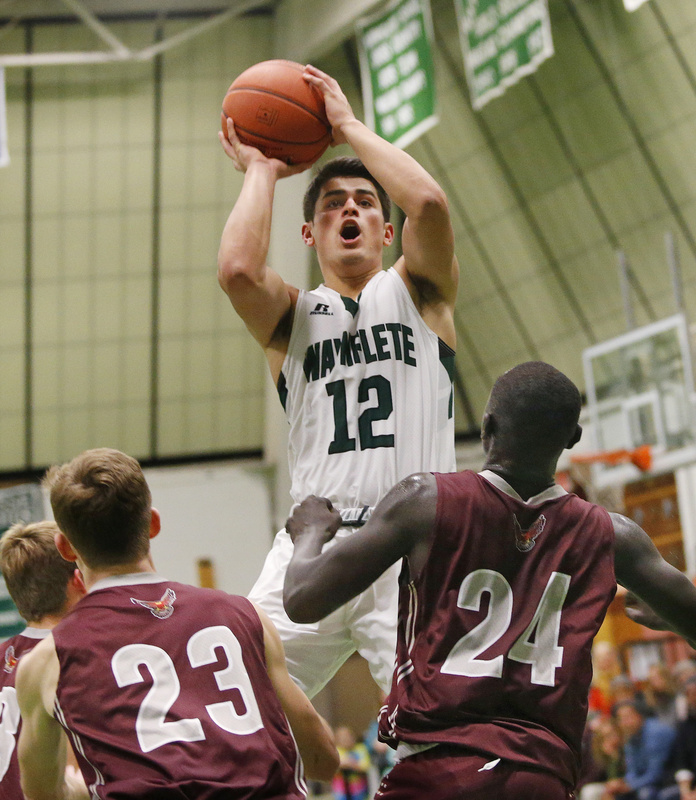 Alex Saade of Waynflete shoots over Alex Helie, left, and Charlie Ngoal of Freeport. 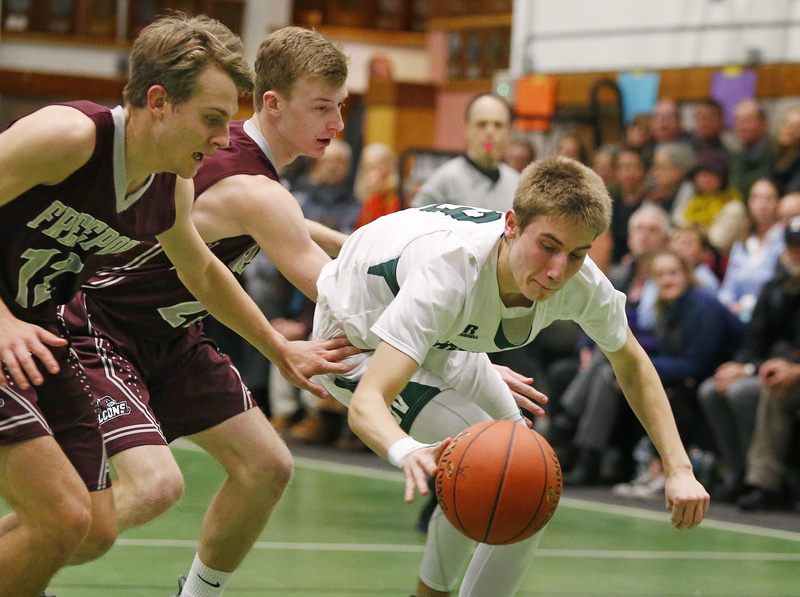 Finn Scott of Waynflete keeps his dribble alive after driving past Toby Holt, left, and Alex Helie of Freeport. Scott finished with 11 points. 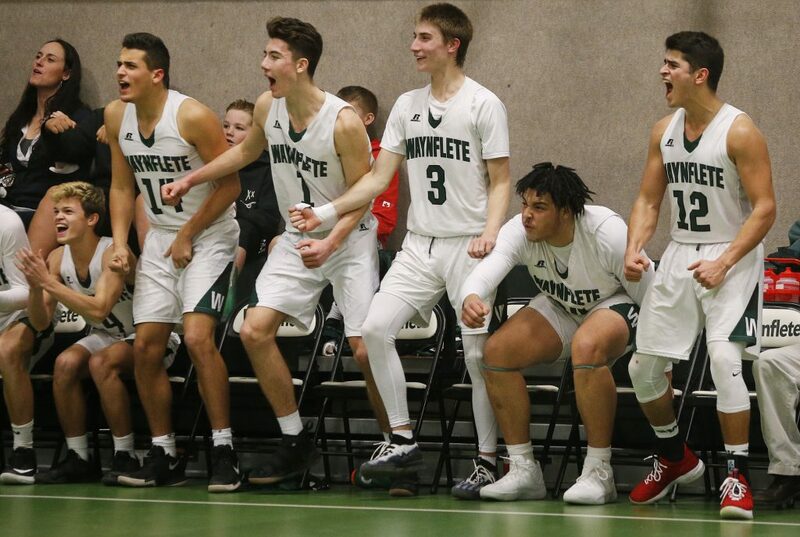 The Waynflete bench gets to their feet after a basket by Burr Rhoads in the fourth quarter. The Flyers went on a 35-3 run to post the win. 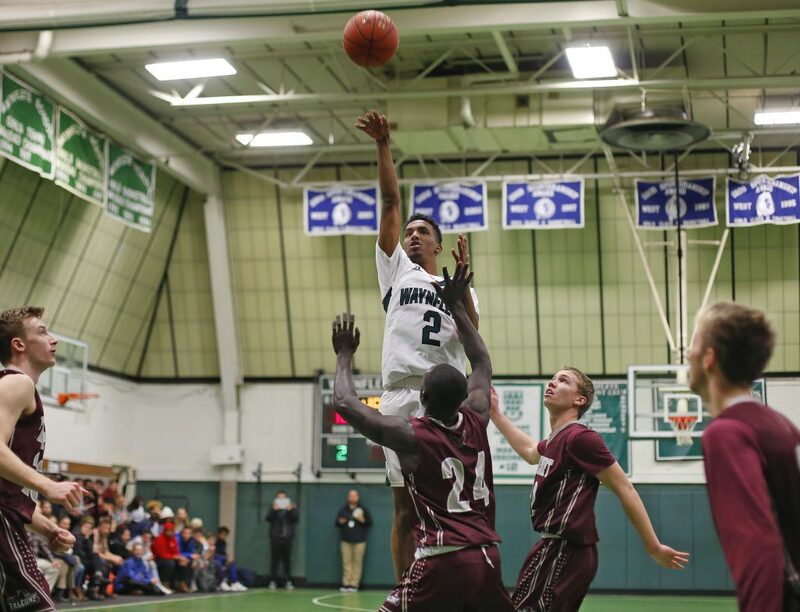 Dominick Campbell of Waynflete lofts a shot between Toby Holt, left, and Elias Thomas of Freeport. 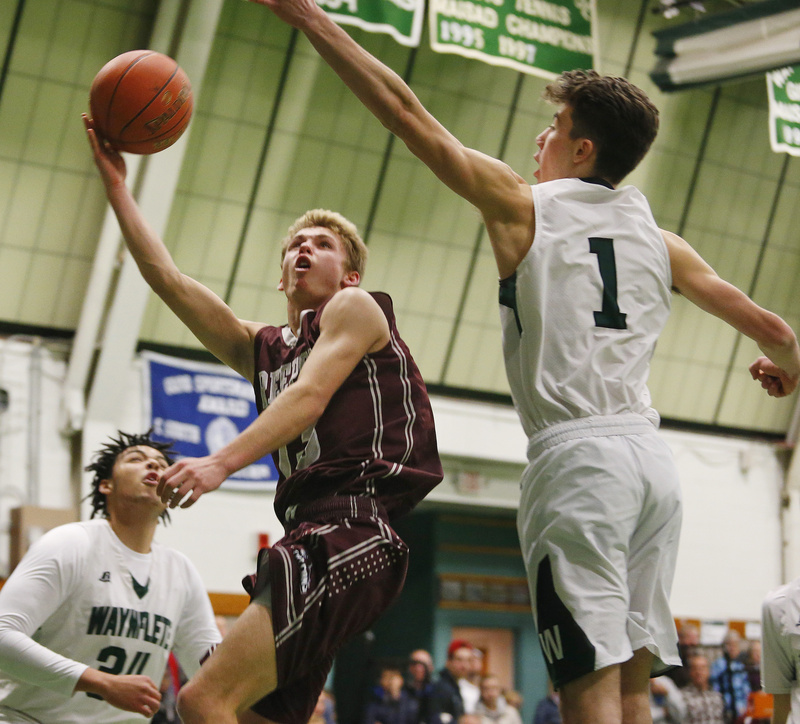 Jared Johnson of Wayflete looks to score between Charlie Ngoal, left, and Toby Holt of Freeport. 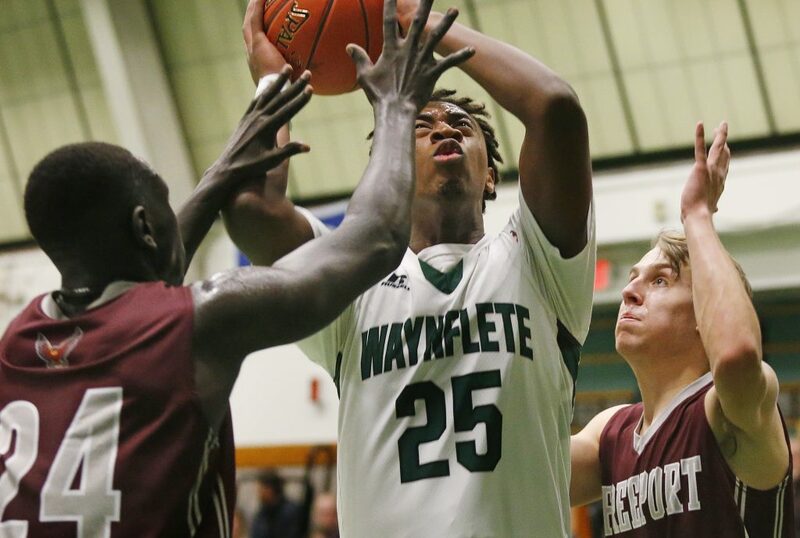 Solomon Levy of Waynflete tries to find a way to the basket past Gabe Wagner of Freeport. 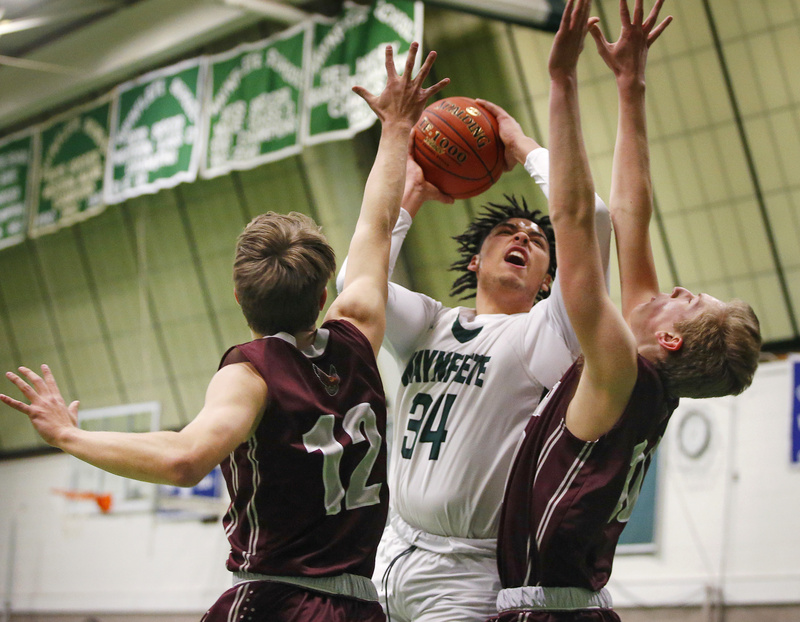 Solomon Levy of Waynflete tries to block a shot by Gabe Wagner of Freeport. 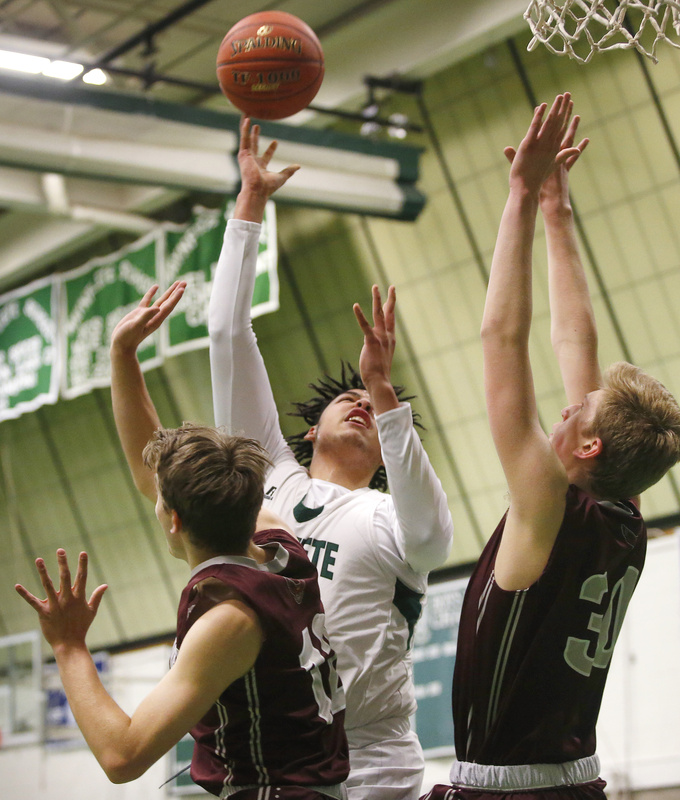 Askar Houssein of Waynflete shoots from the outside in the first half. Houssein had 11 points for the Flyers, who improved to 10-2.